Have your computer fixed while you watch. You don't pay if we can't fix it. Click the chat button in the bottom right to start! We can even change the color of your iphone. all service work is guaranteed. Apple certified technician . FREE PICKUP and DROP OFF for computers! Check the progress of your repair online! Please call before dropping off any televisions. We are only working on certain models. 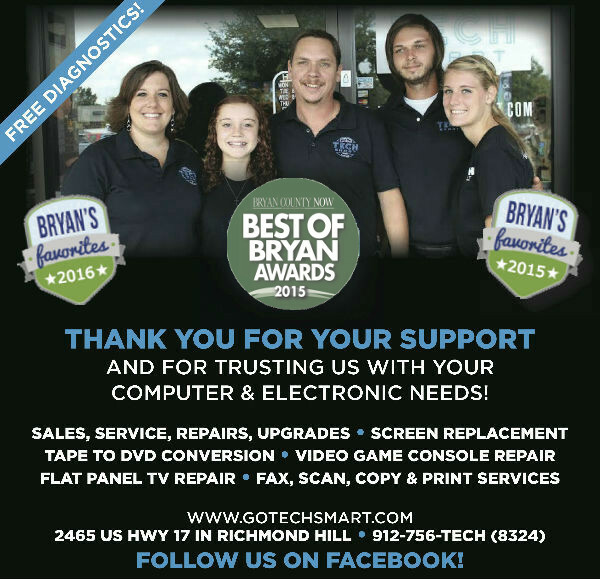 We are open Monday-Friday 8:00 A.M. - 6:00 P.M.
Tech Smart offers online computer repairs, and in-store computer repair and service for your home or office equipment. Located in Richmond Hill, GA. We locally serve the Savannah, Midway, Hinesville, and Pooler areas. Tech Smart is here to help you with any questions you might have about your computer or situation. Please call us and we will determine whether your computer really needs a tech or if there is something you can do yourself. Do you want your computer running at top speed again? We will clean out all of the unwanted programs and bugs, virus's, malware and trojan horses that are causing you grief and repair your computer and get it running like new. We service laptops, desktops, smart phones, tablets, and LCD/LED Television and monitor repair. We offer the lowest rates in the area, and the fastest service. All of our work is guaranteed. "Honest and very fast service. I would never go anywhere else. They have repaired computers in the past, when another shop had said it could not be repaired." 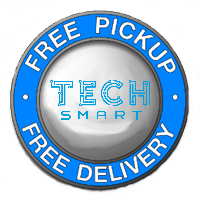 "A big thank you to Mr. Mike at Tech Smart! He's done an iPhone screen and worked on a few computers for us! Great pricing and service! Recommend him to anyone! SHOP LOCAL!" Copyright © TECH SMART 2016. All rights reserved.